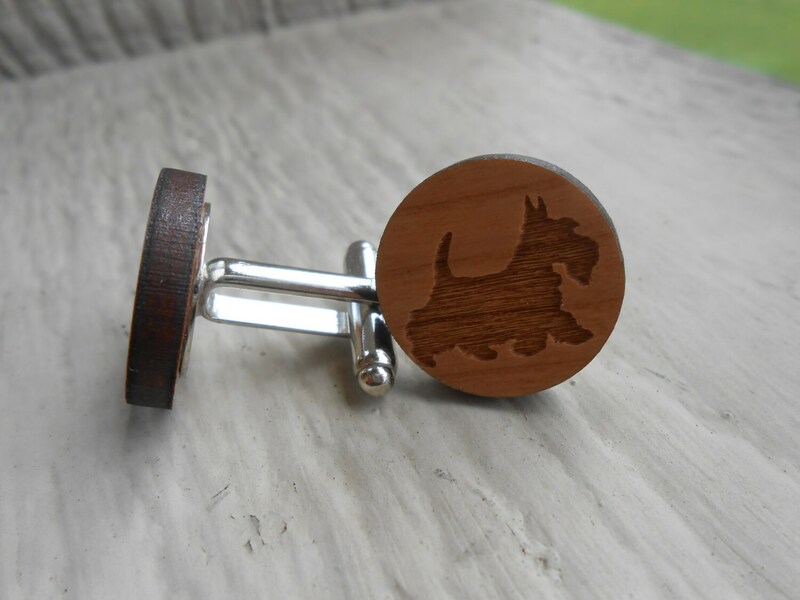 Wood Scottish Terrier Cufflinks. Scottie. 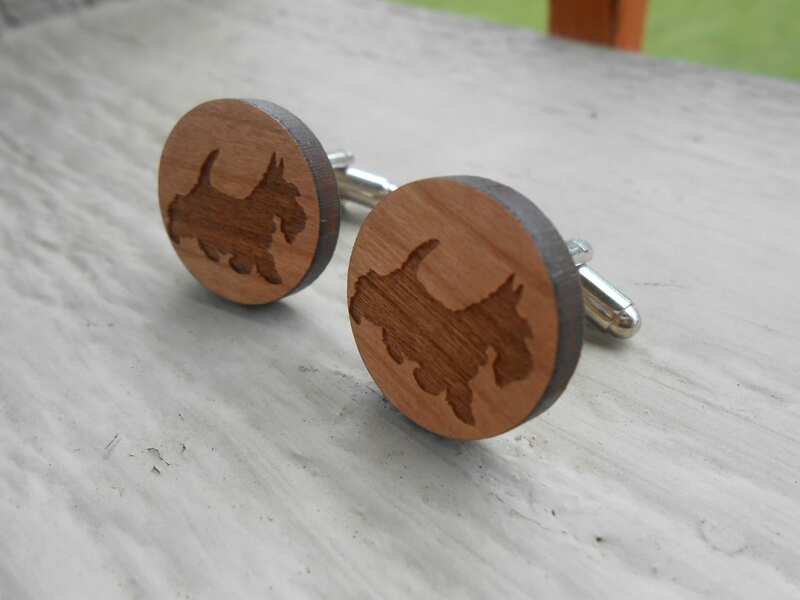 Wedding, Men's, Groomsmen Gift, Dad. Silver Plated. Custom Orders Welcome. 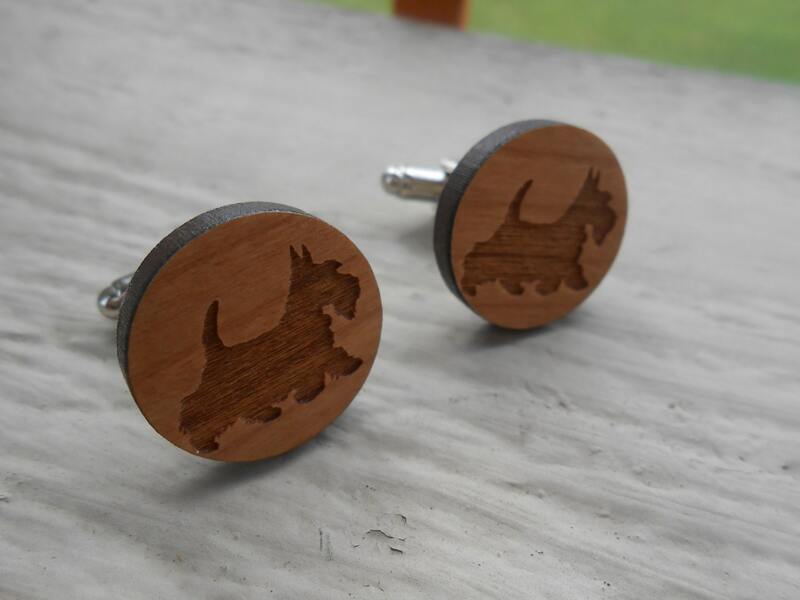 These cufflinks are super cute! 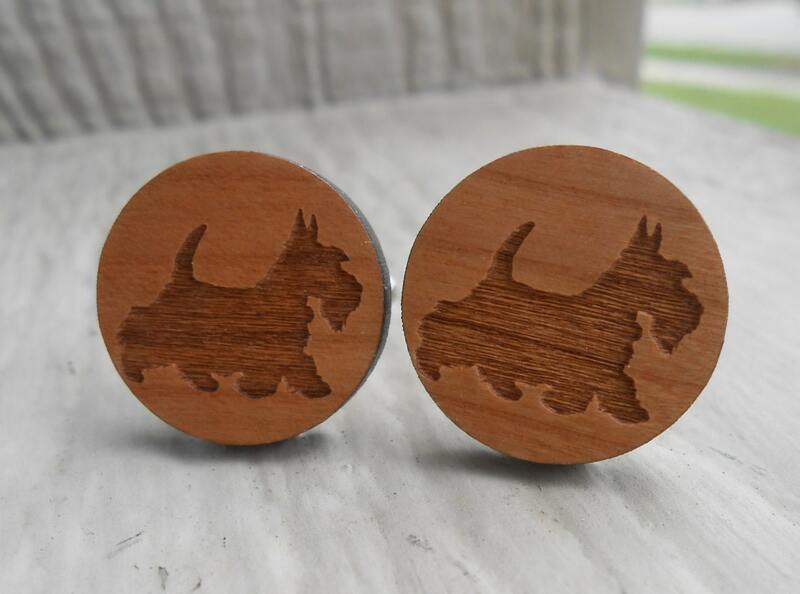 Each one has an engraved Scottish Terrier, on a wood circle. The circles are made from a gorgeous piece of wood. The edges are a darker color. They are 3/4" across. 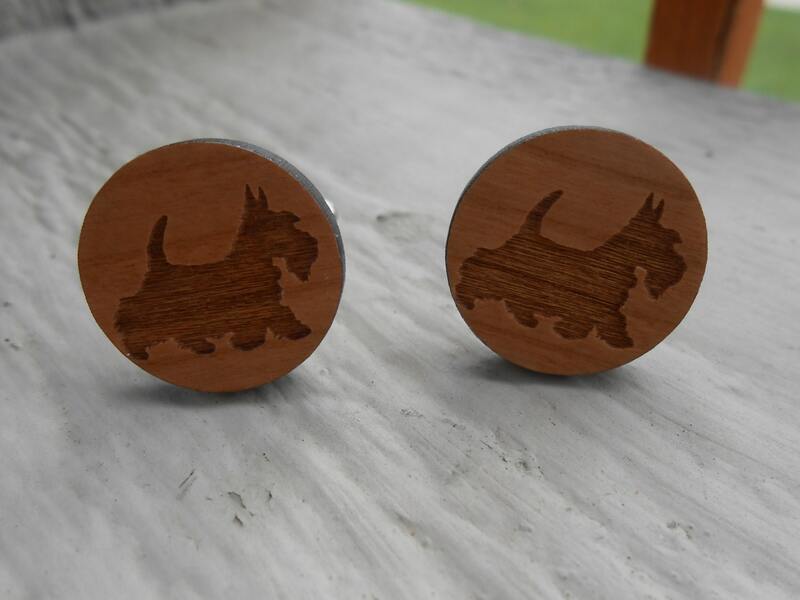 If you know someone who loves this cute dog, then these are the cufflinks for them! This listing is for one pair. The backs are a silver color. I can also do puzzle pieces, wood stars, arrow cufflinks, anchors, hearts, etc! **If you are looking for more pairs than I have available, just message me. I can do as many as you need!